In 2005, the International League Against Epilepsy (ILAE) and the International Bureau for Epilepsy (IBE) proposed a definition for epilepsy - a disorder of the brain characterized by an enduring predisposition to generate seizures. * Did the patient show any signs before the seizure? What was the nature of those warning signs? * How did the patient behave during the seizure? * Was the patient aware of the people and things around him during the seizure? Can he remember what actually happened during the seizure? * What feeling did the patient have after the seizure? How long did it take for him or her to regain stability? * How many minutes did the seizure last? * How many times does epilepsy occur in a week /month? The doctor asks the patient about his clinical past and does ancillary tests to confirm epilepsy. Certain types of epilepsy show abnormal symptoms, which may require more extensive physical tests – for example, injuries suffered by patients with intractable generalized tonic-clonic seizures. Laboratory tests listed below will be useful in the diagnosis of epilepsy. * Prolactin tests done soon after an epileptic episode show high levels (three or four times the normal level) of prolactin and help assess whether the seizure was epileptic or nonepileptic. If the seizure is epileptic, the interictal EEG will show abnormalities; but even healthy people might show these abnormalities. Some epilepsy patients may not show any abnormalities at all; however, that does not mean epilepsy can be ruled out. Normally, physicians use video EEG monitoring to diagnose different types of epilepsy. Pseudoseizures may also be confirmed with this technique. Most doctors prefer monotherapy as it uses only a single drug and rules out interaction with other drugs. Avoiding precipitants such as alcohol and sleep deprivation may help keep the seizure under check. Anticonvulsants are necessary only if risk factors recur. * Seizures that occur repeatedly without any provocation: anticonvulsant therapy is advised for patients who have had more than one seizure. * A patient with an abnormal sleep-deprived EEG showing diffuse background slowing, intermittent diffuse intermixed slowing, focal slowing and other epileptic abnormalities. The doctor will prescribe an anticonvulsant on the basis of the diagnosis. Anticonvulsants such as zonisamide, lamotrigine, valproic acid and topiramate have multiple mechanisms of action, and some others such as carbamazepine, ethosuximide and phenytoin have only one mechanism of action. Epilepsy patients may also follow a ketogenic diet to control seizures. Vagal nerve stimulation is another technique to control epilepsy. There are several curative as well as palliative surgical remedies for epileptic seizures. Lesionectomy and Lobectomy are two of the most common curative surgeries. Vagal nerve stimulator (VNS) is advised for patients who have intractable atonic seizures. This stimulator reduces the need for anterior callosotomy. Every seizure need not be due to epilepsy. It is very important that an individual who gets seizures gets himself properly diagnosed by an expert to concretely determine whether he is epileptic or not, and pursue good treatment options that are right for his type of seizure. 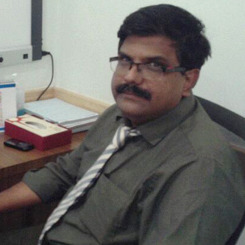 dr . Sanjiv C. C.